As the 2013 season draws near we take a look at some of the potential breakout athletes statewide. One kid that sticks out like a sore thumb is 6-8 230 pound defensive end Drake Brennen of Grants Pass. It’s no secret that the Cavemen have struggled over the past few seasons going (12-30) over the last 4 years. That said, anyone familiar with Oregon High School football will tell you that GP has been a traditional football power and they are looking to return to the days of old. Numbers have been up among the youth and some of the younger classes look promising. 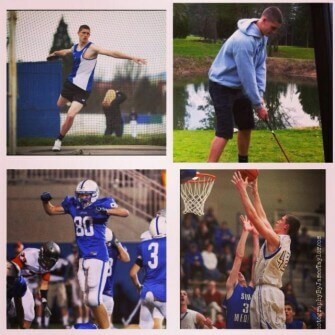 If Grants Pass wants to be successful this season they will have to look to kids like Brennen to step up. Drake was a 2nd team all-league D-lineman last year and has an upside that won’t quit, simply due to his size. 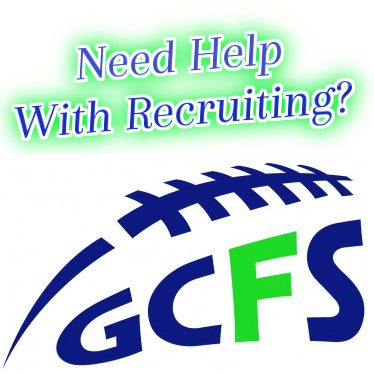 He was recently ranked our #9 DL in Oregon, as the first 8 guys already hold D1 offers. Brennen won the state title in the discuss this past season, and also holds his own on the basketball floor. He is one of the most versatile big men in the region and projects as a D1 athlete if he chooses to pursue football. Vinnie Shuler (OL) and Jordan Thatcher (DL) are the only other returning all league kids from last season, so some of the younger guys will definitely have to step up. Anthony Mattie, Bracken Sharp, Riley Veritch, and Steven Etheridge all have departed after all league seasons in 2012. GP went (3-7) but their record was somewhat deceiving, as they lost close games all year to relatively good teams (Clack 3, West Linn 6, S.Medford 3, Crater 6, McNary 7). Head coach John Musser does an outstanding job with his guys, as Grants Pass has notoriously been one of the tougher places to play in Oregon. We wish Brennen continued success and we will bring you updates from down South as they happen.